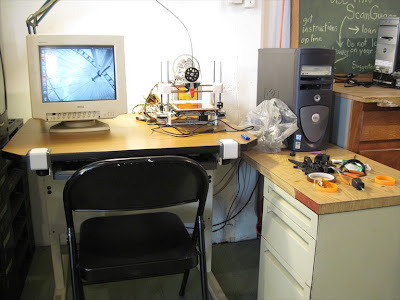 The old workstation has been integrated to the right of the new desk. It's holding up the dedicated Printrbot system box. I know that nature abhors a flat surface about as much as a vacuum. Before long this new surface will be cluttered. Enjoy the view for now. Where's your sketch? I'd still like to get some models done for your cover. Josh, I've been plenty busy this week at The Space performing other tasks. But I'll have a drawing for you Saturday at the open house. 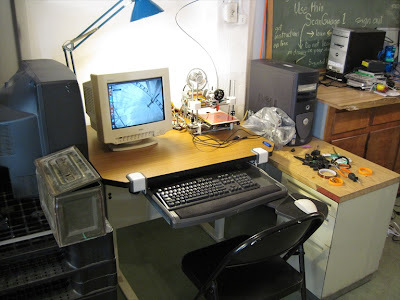 Those white clamps of the keyboard tray look unique. Is that a 3-D printed keyboard part? I’ve been looking at adjustable keyboard trays from 3M, and Fellowes and Human Solutions keyboard trays from Humanscale. They’re all off, like, an inch of what I would like them to be. Some reviewers say the same thing. I wonder if it’s possible to get a default adjustable 3-D printed keyboard design that everyone could use, and tweak slightly. Since the chair in the picture is not adjustable, an adjustable keyboard tray could help here. In addition to being able to adjust the height and position, you can add a negative tilt downwards, which studies have shown to be more ergonomic. 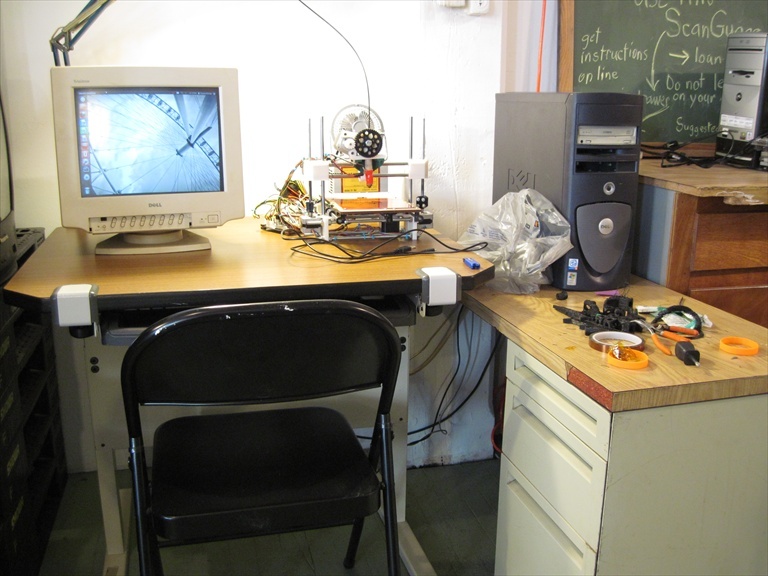 I put a 'spares pack' that the folks from fabbr donated in the top drawer (pic) of the printrbot station. 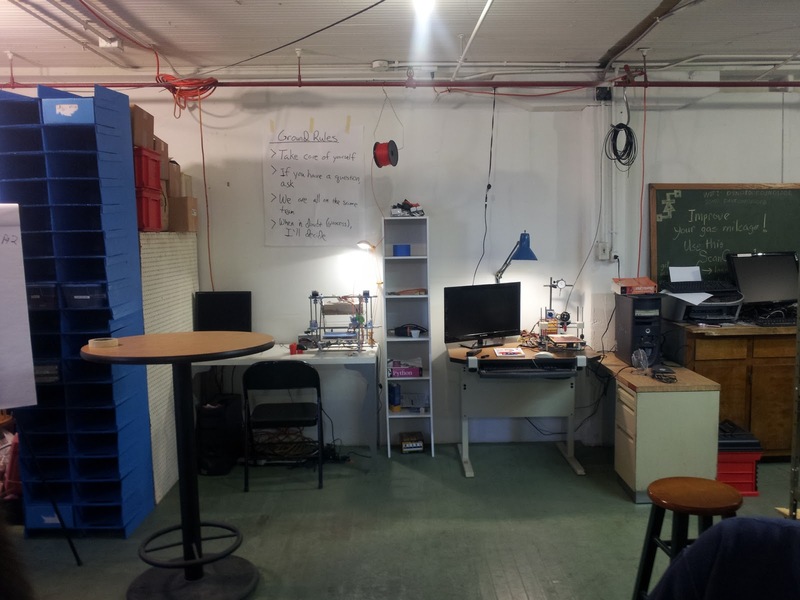 Expanded printing capacity now with Rocket's RepRap too.